Anti-corrosion Acid And Alkali Resistant: When The PH Value Is Between 2 And 12, The Sheet Will Not Be Affected. 1.What is MGO roofing sheets ? 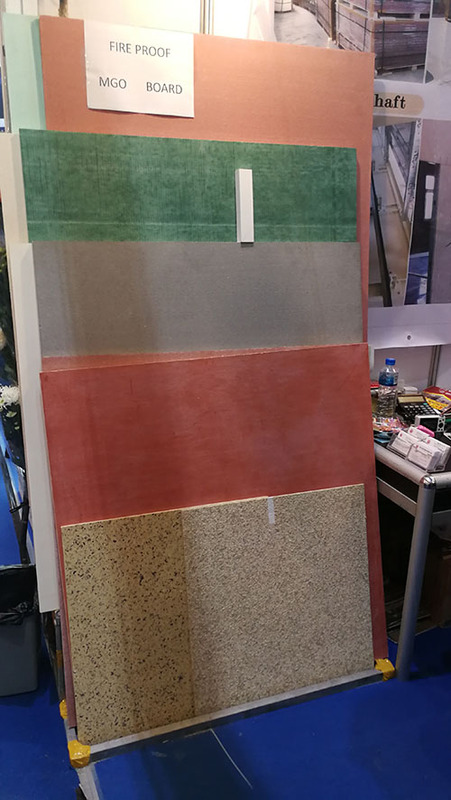 kinds of inorganic chemical materials,after line processing and combined.The MGO roofing sheet without asbestos,formaldehyde and other harmful substance. Magnesium oxide,magnesium choride,tawcum power,glass fiber cloth,sawdust and others. The roofing tiles can be made in different sizes according to customers`requirements. of roofing tiles could be used about more than 10 years. Its cost is low. is longer. This kind tiles could be used more than 20 years. resistance is the best. The Aluminium foil MgO roofing tiles couldbe used more than 30 years. --The MGO roofing sheets could be processed by saw,nails,drilling ,installed simply and quickly,save material cost and labor cost. The common cement prducts refractory tempature is about 400 ℃	 fire-retardant reached grade A1.No ignition combusting in 1000 ℃ flame. MGO roofing sheet has good heat insulation performance and can save energy consumption of the building. to sunlight reflection off the aluminium foil. The lower conductivity,the better heat insulation performance.MGO Roofing sheet is suitable for Summer,strong sun light and hot weather. wool to improve its heat insulation and fire proof performance. years.the comprehensive application cost of MGO roofing is less than colour steel sheeting . MGO roofing can be used under strong acid and alkali conditions.Coulur steel sheet cannot bear acid and alkali. Especially high tempature,high corrosion, chemical plant,feeding-farm,it will be rechanged everything 2 or 3years. The comprehensive application costs of MGO roofing is far less than corrugated steel sheet. the steel sheet roofing is more expensive than MGO roofing . steel roofing sheet building.The additional heat insulation layer of corrugated steel sheet also adds additional costs. The High Strength Mgo Roofing Tiles has the function of acid and alkali resistant. This workshop is in the coastal area of China, the MgO Roofing tiles is the perfect roofing material for it. Unlike Iron sheets, its service life is more than 20 years. creating a comfortable living condition for cows. Our MgO Tile can not only be used not only as roofing material, but also as walls. The wall and roof of the following factory are all built with our MgO tiles. We attend Canton Fair every time.and other exhibition we will update in our website.